• Please choose size and color • Color Options: Blue, Yellow • Size: Adult, Youth. Brightly colored vests allow all children to clearly identify who is on their team. • Color Options: Blue, Green, Red, Yellow. 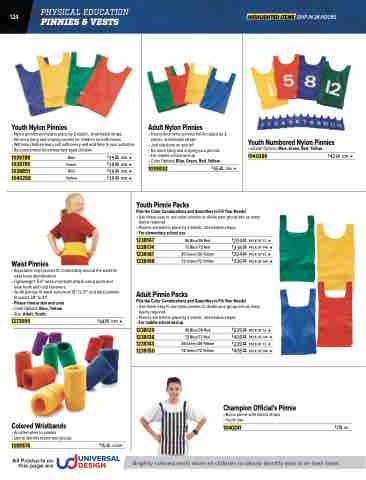 Youth Numbered Nylon Pinnies • wColor Options: Blue, Green, Red, Yellow.